It's a double bling glamour alert! These luxurious sandals feature a clear sole with a small platform, and a 4-inch heel featuring a gold tip and diamante studs. 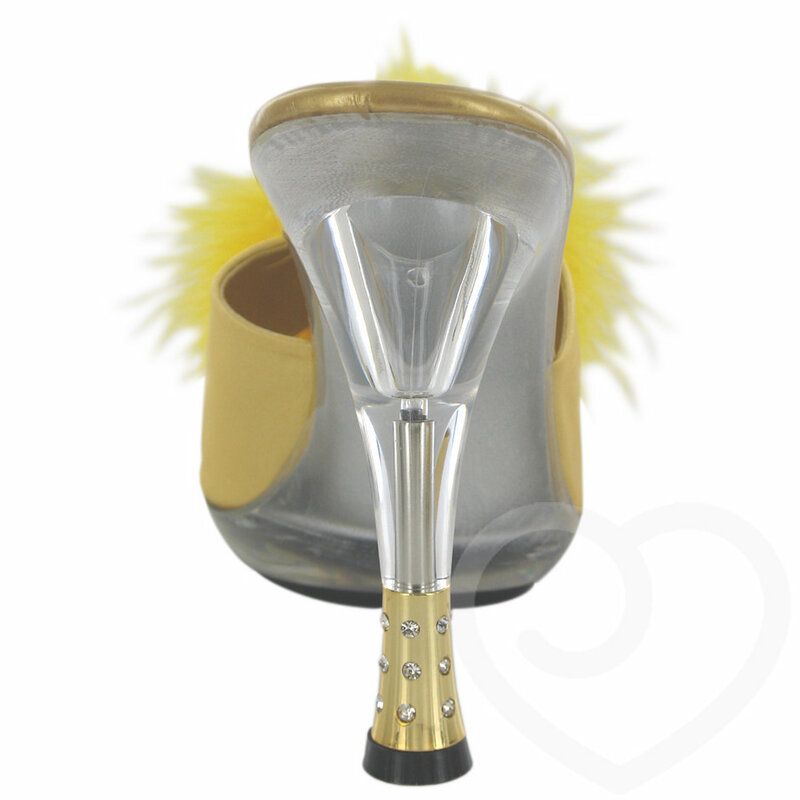 The toe is covered by a fabulous gold fluffy pom pom. Classic 50s-style glamour with a modern twist!